Sleep in style with these fun short pyjamas with a funky Japanese print. 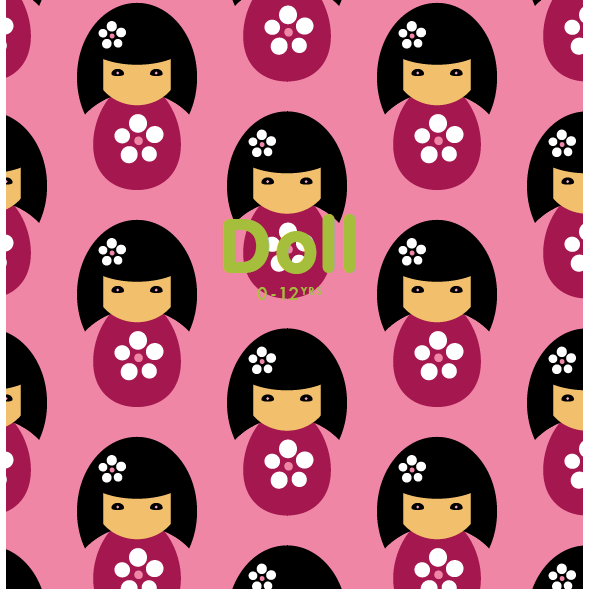 This short-sleeved top and knee-length bottoms feature a fuchsia pink kokeshi doll print on pale pink cotton with a lime green trim. Made with super-soft organic cotton, this pair of summer PJs is perfect for going next to delicate skin and is kind to the planet too. They're so lovely and comfy, your little ones will be glad to get into these pyjamas after bath-time. If you love these PJs, be sure to check out the other cute doll items in the Maxomorra range. These pyjamas are made using jersey fabric, made with 95% GOTS certified organic cotton and 5% elastene. This fabric weighs 160g per squared metre. Maxomorra baby and children's clothes with brilliant bold Swedish designs are all made from lovely super soft organic cotton. Fun, playful and practical high quality clothing that's made fairly and sustainably too. We love the funky repeat print graphics that look stylish and really appeal to children. A choice of fabrics and colours and some unique designs ensure your kids will stand out from the crowd.